While only a handful of big-name consoles currently dominate the video game market, nothing is cooler than the arcade classics. Back before home entertainment systems and constant connectivity, guys had to head to their local arcade to get their game on. Not too long ago, these arcades were filled with attractive games and plenty of enthusiastic gamers. Massive game cabinets held a single game. But that experience of paying a quarter to mash the clickable buttons and achieve the high score is something that many guys cherish. Luckily, it’s easy to recreate that old feeling of nostalgia in your very own home. Home arcade cabinets are the perfect addition to any man cave. They look cool and add a retro touch. Not only that, but they’re incredibly functional. Many modern arcade cabinets house hundreds of classic games in a single unit, allowing you to play to your heart’s content, even if you run out of quarters. Here are 7 awesome home arcade cabinets to complete your man cave. 1. Two Player Multiarcade Tornado with 2019 Games! 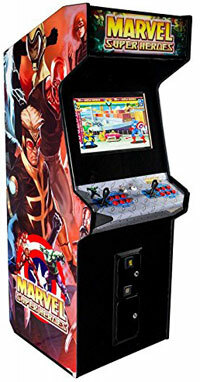 This modern arcade machine contains over 2000 classic and modern games. The horizontal LED monitor displays both vertical and horizontal games efficiently. With a load of popular classics in tow, the cabinet has more than enough options for the family. These are all JAMMA games, which is the original gaming system for older cabinets. This means that every game is identical to the original. It can be built with a coin slot or free play button. It’s configured for two players. Each side contains a joystick and 6 buttons. The cabinet comes in a variety of styles and has a built-in dolly for easy transport. From ProArcades is this high-quality cocktail machine. 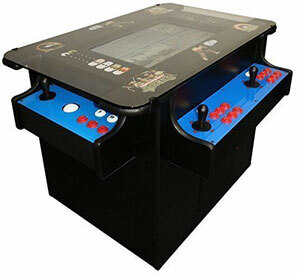 It features a joystick and player buttons on two sides, making it easy and comfortable for two people to play together. It comes stock with 60 games, though it’s configurable to include up to 410 games. The 60 included JAMMA games are all popular options from the golden age of video games. The cabinet is built with black thermally-sealed melamine for durability. The modern LCD screen is light and highly-visible. It features a coin slot for quarters or custom tokens as well as a free play button. High-quality speakers are built into the cabinet to deliver clear audio. This massive arcade machine contains a single golfing game. Perfect for any golf enthusiast, the modern game features beautiful graphics and an immersive playing experience. The cabinet has a large rotating trackball that provides full and precise control. It also has more than enough room for two players to compete simultaneously. It’s slightly wider than traditional cabinets, making it comfortable and roomy to play. A large 32-inch LCD with a widescreen format provides a cinematic experience with vibrant color. The cabinet is clad in all black and features green accents along with stunning artwork. A coin slot is included, completing the modern arcade vibe. 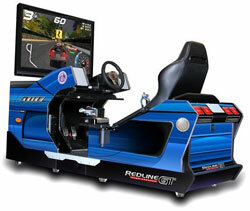 If you want a realistic racing experience, this machine from Chicago Gaming is a great option. It features a full racing seat that can be adjusted multiple ways to get a comfortable position. Intricate driving controls from LogiTech are included to deliver an immersive experience. These include a telescoping steering wheel, racing pedals, and multiple controls. A 5-channel audio system provides loud and clear audio. The machine even has a vibration transducer to add a bit of rumble. There’s also storage for a PC, a keyboard drawer, and a game control switch. In terms of style, the machine has vibrant artwork to imitate a racecar and LED lights throughout. 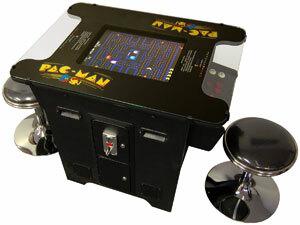 Packed with 60 classic games like “Pac-Man” and “Space Invaders,” this table arcade is great for multiple players. The cabinet is black and features artwork from familiar games. The modern monitor is located directly in the middle of the cabinet and is surrounded by a wide ledge for drinks or snacks. A glass top protects the finish and covers the two player controls on either side. It has a coin slot on one side and features 4 grips on opposite sides to make moving the unit a cinch. To top it all off, this cocktail arcade machine comes with two comfortable chrome stools for players. 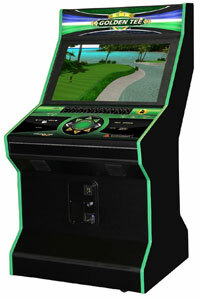 This machine is designed to accommodate a large variety of games. It’s a cocktail machine that can play horizontal and vertical games by simply changing the controls. The 24-inch LED monitor displays the games in high definition. Player controls are located on each side and feature an 8-way joystick, 3 buttons, and a trackball. On one side, there’s two more player controls placed side by side with a joystick and three buttons each. This unique configuration allows you to play any of the over 1000 games comfortably. The unit is designed to be placed against a wall and features simple, yet attractive artwork. This small arcade machine is designed to hang on the wall. It features a 24-inch LCD screen and two player controls. The controls include a joystick and 8 buttons. The entire system is covered in a unique whitewash finish, making it an attractive piece of furniture. It’s relatively compact to fit into tight spaces. Despite this, the machine is fully-featured. 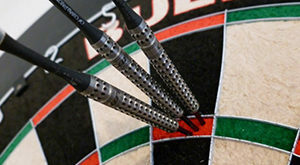 It includes 620 classic games, providing more than enough options for any player. One unique feature this machine has is two USB ports. These ports allow players to charge their phone or mobile device as they play. The unique thing about arcade machines is that they’re virtually a relic of the past. Only a few decades ago, arcade machines were the norm. They could be found in malls, stores, and hundreds of other public locations. However, arcades are where these machines shined most. Looking back, there’s no comparison to modern video game technology. Whether it was “Space Invaders” or “Frogger,” games were incredibly simple and had graphics that barely resembled a few sprites of color. But that’s not what arcade machines were about. They were about the experience and joy they provided. 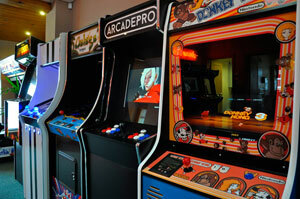 Arcade machines became popular in a time when video technology was still in its infancy. There were no video games at home or tablets to bring on the go. Enthusiasts had to go visit their favorite cabinet. Gaming on these gigantic cabinets was an experience all on its own. The feeling of the buttons and joystick clicking, the simple electronic 8-bit music and sound effects, and the all-too-familiar artwork can bring up some serious feelings of nostalgia that modern video game consoles just can’t provide. When it comes to the games themselves, arcade machines contain a piece of history. Video games are one of the largest entertainment industry in the world, and these simple fun games is where it all started. They set up the foundation of all the modern games we play today. Arcade machines give you a glimpse of the past and let you see how video game technology has evolved since. Arcade machines come in all shapes and sizes, so there’s a lot to consider before making the investment. Choosing the best option involves taking a look at your man cave. See where you want to place it and how you want to use it to determine what type of machine will work best for your needs. 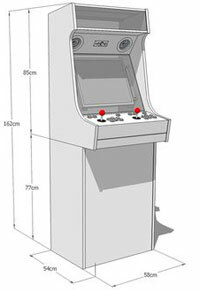 As mentioned before, arcade machines can be massive depending on their particular design. They house the analog controls for playing, a computer to act as the brains of the unit, and a screen to display the game. Needless to say, these devices can be a bit heavy as well. Before purchasing an arcade machine, make sure that you can get it into your man cave. The most common design for an arcade machine is the classic upright. They usually have controls for two players and are used standing up. Because of this, they are considerably tall. Other versions of this classic design also exist. They may contain four player controls and have a wider footprint. Table, or cocktail, arcade machines are designed to have players look down at the screen. Especially effective for multi-player games, these machines usually have two to four player controls around the perimeter. Depending on the manufacturer, they may be tall enough to play standing up or require comfortable seating. Finally, tabletop arcades are the most portable and easy to get into your man cave. Essentially, they’re made exactly like the traditional arcade cabinet without the bottom portion. The screen and controls are built into a single device that can be placed on any flat surface for playing. Most modern arcade machines are packed with numerous retro games. The exact number of games they carry and the specific titles offered vary from manufacturer to manufacturer. Some only feature a single game. 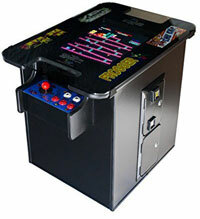 Typically, most machines will include the most popular arcade games and much more you’ve never heard of. Instead of having to choose a single cabinet to play one game, you can have them all. Modern machines do this with multi-arcade machine emulator. 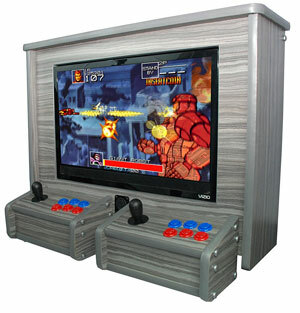 Also referred to as MAME for short, this system imitates the behavior of multiple arcade machines. Essentially, it’s a robust system that takes the different game technologies of yesteryear and puts them on display for modern gamers. Classic arcade machines were clunky and only had enough memory for a single game. Today, computer memory is relatively cheap to come by and significantly smaller. MAME keeps all the games organized and allows you to access your entire library at a moment’s notice. There’s no need to switch out disks or storage systems, as everything is contained on the emulator. Every game is recreated down to the tiniest detail to remain faithful to the original. Most games even prompt you to insert a quarter, but don’t worry, there’s no need for change if you don’t want it. To ensure that your new machine fits nicely into your man cave, give the cabinet design some consideration. Classic machines were known for their distinct style that was often designed to promote the game. Modern machines contain multiple games, so they usually incorporate a style that’s reminiscent of the era itself. They may feature familiar mascots, retro artwork, a bright color scheme, and of course, lights. Some are also designed to imitate classic cabinets. Many modern cabinets also incorporate additional features that you may want to consider. These include controller options and coin slots. It’s important to go with a machine that has ample controls. While not every game will utilize every button, it’s better to have more buttons than not enough. Pay attention to how the buttons and joystick are configured to ensure that you’re comfortable playing. Also, consider the quality of the buttons to ensure that the machine lasts for years to come. The inclusion of a coin slot is a matter of preference. If you plan on having a lot of friends go through your man cave on a regular basis, why not charge them to use your cool new arcade machine? Coin slots also provide a sense of authenticity and nostalgia. Of course, you can always forgo the coin slot and go with a free play button instead to eliminate that extra step. Any of these machines will be a welcome addition your man cave. Not only do they provide a bit of fun nostalgia, but they’re cool and unique devices. Not everyone owns their own arcade unit. Whether you plan on sharing the fun with friends or keeping the machine all to yourself, you won’t regret the purchase and find yourself using it for years to come.